The people were so gracious and friendly,” Haglund said of Iranians who approached them in the public square to strike up conversations with the Americans, offered their home addresses with invitations to visit if ever the tourists were in their towns, and were anxious to have their photographs taken with the foreigners. “They always came up to ask what we thought of Iranians, what we thought of Iran,” she said. “They approached us a lot. They wanted to know who we were.” In a group made up largely of liberal-minded people with Democrat leanings, Haglund said, the tourists often disagree with President Bush’s policies toward Iran. But she said most often she and her fellow travelers responded by saying simply that they don’t always agree with their political leaders, leaving the door open for the Iranians to share their thoughts. Exchanges were respectful and lively, with 20- to 30-year-olds most likely to initiate them. At a religious school, backpacks hang outside the door, decorated with Sponge Bob Square Pants, Mickey Mouse and other Western icons. Obituaries are posted at open-air markets, bearing photographs only of the men. Statues throughout the cities pay tribute to their revered poets. A domed ice house provides space for ice harvested in the winter in the mountains to be packed in straw for use throughout the summer. And everywhere are fountains and pools and channels of water flowing from the mountains. Haglund photographed a wind tower that catches the wind and channels it downward across a standing pool, providing a super-sized swamp cooler for the entire building and surrounding court. “They love water,” Haglund said of the desert people who appreciate the natural world’s gifts and deprivations. She plans to keep telling her stories of Iran and its people to everyone who will listen. “It gets such bad press. Iranians are seen as the axis of evil, and that just is not my experience,” she said, convinced that personal stories can go a long way toward overcoming negative images. “I don’t think the people should suffer from the stereotype of evil, from the actions of a few bad apples. Of all the places I have traveled, these are my favorite people. “They would find out who we were, they’d act a bit surprised, then I bet 90 percent of them would say ‘Welcome to my country.’” Read more. Read more about Peace Corps Iran. Shalala said she and Dole have every intention of continuing to push the administration and Congress for changes, including amending the Family Medical Leave Act to allow for up to six months leave for a family member of a wounded service member. Most of the recommendations can be implemented by the administration, though some would require legislative approval. To that end, Dole and Shalala made the rounds on Capitol Hill the day after the report's release, meeting with House and Senate leaders to gain their support. Shalala balanced the demands of the commission — visits to various veteran health care facilities around the country and seven public hearings — along with her duties at the university. She also taught a class on the politics of health care to 150 students. "She's type triple A," Dole said, laughing. "I'm a type A, but she's triple A. She's either got the cell phone going, or the Blackberry or she's in a conversation. She doesn't waste any time. She's all business, 'Let's get this done and get this done right."' "I was at the White House when they asked me about the commission and we sort of kicked names around," Dole said. "Donna's name came up and that was the end of the conversation. "I knew it wasn't going to be partisan, but solution driven," Dole said. "We knew there were problems, otherwise there wouldn't be a commission, but we weren't there to review complaints, we were there to solve the problem." University of Miami President and former Clinton Cabinet member Donna Shalala served as a Peace Corps Volunteer in Iran in the 1960's. Read more. Since April, Hilderbrand has been director of Chico Peace and Justice Center. A self-described political theorist, she speaks freely and articulately about what she thinks and believes, about what she has read and where she has been. Stopping funding of the war in Iraq is paramount to Hilderbrand. "Right now things like health care and the environment are taking a back seat." Hilderbrand came to Chico two years ago when her partner, cartographer Seth Paine, got a job at the Nature Conservancy. Living in Phoenix and thinking about perhaps a trip to sub-Saharan Africa, the prospect of moving to a California valley town didn't thrill Hilderbrand at first. But she warmed to the idea when she found Chico's Peace and Justice Center online. Hilderbrand met Paine while they were serving in the Peace Corps in Morocco. "I was a rural-socio-economics planner. I worked on a national park, which was the largest cedar forest in Africa. I dealt with social, economic and political forces and saw that they all work together." Read more. Caption: Sue Hilderbrand, director of Chico Peace and Justice Center, invited people to call Congressman. 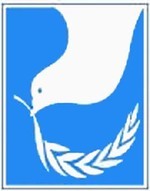 "In 2003, NATO moved peacekeeping forces into Kabul and parts of northern Afghanistan. But not until 2005, when it was clear that the United States was bogged down in Iraq and lacked sufficient resources to fight on two fronts, did Washington belatedly turn to NATO to take the Afghan south off its hands. And then it misrepresented the situation its allies would find there. NATO was told, in effect, that it would simply need to maintain the order the United States had established and to help with reconstruction and security. In fact, as was clear from the ground, the situation had been deteriorating since late 2002. By 2004, resurgent Taliban were making a concerted push to enter the country from Pakistan, and intensive combat between American forces and Taliban fighters was taking place north of Kandahar." Morocco RPCV Sarah Chayes has made a home in Kandahar, Afghanistan, became fluent in Pashto, one of the main Afghan languages, and devoted her energies to rebuilding a country gutted by two decades of war. Read more. Caption: Sarah Chayes of NPR and Adam Brooks of the BBC, after the fall of Kabul, but before the Taliban fell, in a town just inside Afghanistan called Spin Boldak. People on the walls stare at the journalists while they apply sunscreen to their faces. Uzbekistan RPCV John Smart writes: U.S. embassy or is it George W. Bush's palace? It's not only the largest embassy in the world, it's the largest embassy ever constructed by any nation, anywhere, at any time in history! It's larger than Vatican City and much more secure — the outer walls are 15 feet thick. In a country that has only a couple of hours of electricity a day, the new embassy will have its own generators, and in a society where drinkable water is a scarce and precious commodity, it will have its own water filtration system. The people outside those 15-foot walls might get a bit testy about this display of wealth, don't you think? The Iraqis, accustomed as they were to Saddam's numerous marble extravaganzas are referring to this mega-complex as "George W's Palace." Again, I wonder why? It's costing us billions for sure, although that information is apparently classified. Don't you think we should know what it's for? Or maybe we do know what it's for. Maybe it's all of a piece with the expensive and evidently permanent military bases that the Bush administration is building in Iraq. Maybe the plan all along was to occupy this keystone country in the Middle East for the foreseeable future. Maybe that's why George W. Bush is so angered by the congress's repeated attempts to put timelines and deadlines on our occupation forces: He has no intention of us ever leaving. Read more. Caption: Blueprints for the new US Embassy in Iraq. 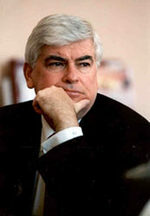 Democratic presidential hopeful Chris Dodd warned his fellow party members not to get lulled into believing the 2008 election will produce the same sweeping victories that Democrats enjoyed last November. "There’s an assumption that people are making that any Democrat can win in ’08," said Dodd, a U.S. senator from Connecticut who has won seven elections since arriving in Congress in 1974. "I don’t believe that." "This is about leadership, it’s about proven ability, it’s about the ability to go with bold ideas and not half measures that I think the country is desperate and hungry for," said Dodd, who attended a minor league baseball game, a farmers market and addressed Iowa’s largest state employees’ union during his latest campaign swing. Read more. RPCVs speak out on the issues. Read more. August 1, 1966–Our Peace Corps training class of 35 was ending its first Turkish class of the day. It was noon, and we anticipated the long walk across the 95-degree University of Texas campus to lunch. We were a standard set of recent liberal arts graduates, a profile of what the Peace Corps wanted for a Muslim nation. We had a few sets of married couples, and some of us seemed square. I might have fit that description, but I had taken the role of smart aleck, out of character if you know me today. We had a group comedian, Bob Zahn, a tall, blonde, happy-go-lucky math major who didn’t seem to know where he was going. If anyone seemed to hear a different drummer, one with an upbeat cadence, it was Bob. A few of our guys joined to avoid the draft and being shot at in the Vietnam War. Strange irony. We were Turkey-13, the 13th group. We studied Turkish language morning and afternoon. Grateful for lunch break, we gathered up our books and disregarded the pop, pop in the distance. It had started a little before class ended. 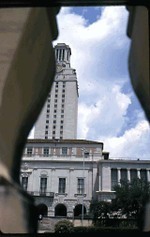 I didn’t glance at the tower of the University of Texas as I walked down the wide set of cement stairs of the old classroom building. I edged over to the right to hold the cement banister. Slowly, one at a time is how I had to take those stairs, always leading with my left leg. Playing soccer, the national sport in Turkey, earlier that month, I had torn the cartilage of my left knee. I remember waking up lying on the grass. I stood, with help, then locked my left leg and walked, peg-leg fashion, back to the motel, explaining to everyone that I was fine and knew how to handle this. Halfway back, I gritted at the pain and wondered why I was so foolish to not accept help. But I knew: Nothing was going to keep me from going to Turkey with the Peace Corps. Peg-legging down those stairs, I wondered what was going on. The lawn was green, the trees full. Hot is usual for Austin, but not unpleasant. The tower, a 307-foot looming building, commanded the university landscape. Below the surmounting clock was the 28th Floor Observation Deck extending around all sides so visitors could see the far reaches of the University and the city of Austin. Encasing the platform was a thick wall with six-inch slits above the drain spouts. Perfect for a sniper. I was headed for the tower. Intervening was Garrison Hall, and my view of the observation deck slowly slipped behind that building. About a block north over to my right, something was going on. That’s the first I realized we were listening to gunshots from high-caliber rifles and handguns. I decided to stick with Gary: He knew what he was doing. Read more. Notes: Trainee was killed instantly by sniper fire while crossing U/Tex campus traing site. # dead unk. At least 33 wounded. Sniper killed by police. Read more. Read more about Peace Corps Turkey. Read more about the Peace Corps Fallen. "We will not be issuing a report that points fingers. Our charge has and will be to focus on solutions that can be activated in a reasonable time. We will also not be issuing a report with a laundry list of recommendations. Our report will be action oriented and patient centered with our primary goal being to improve and simplify, where needed, the system of care for our service men and women so they can transition, as soon and as best as possible, to civilian life or active duty." As we have said from the beginning, we are solution driven. We will not be issuing a report that points fingers. Our charge has and will be to focus on solutions that can be activated in a reasonable time. We will also not be issuing a report with a laundry list of recommendations. Our report will be action oriented and patient centered with our primary goal being to improve and simplify, where needed, the system of care for our service men and women so they can transition, as soon and as best as possible, to civilian life or active duty. Our report is rooted in the work done by the Commission over the past three months plus the work of other Task Forces and Commissions that have been examining similar issues. This Commission has heard testimony at seven public meetings and has conducted 23 site visits to military bases, VA hospitals and treatment centers across the country. We have heard from experts on providing physical and mental health care, navigating health care and disability evaluation and compensation systems, members of Congress and their staff, and most importantly, service men and women, their families and the health care professionals charged with their care. The Commission is also conducting its own nationwide survey of service men and women and is currently analyzing the data. Read more. University of Miami President and former Clinton Cabinet member Donna Shalala served as a Peace Corps Volunteer in Iran in the 1960's. 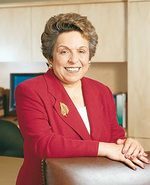 Read more about Donna Shalala. President Bush named Donna Shalala and Bob Dole to head the commission, which he formed in response to a growing outcry over the care of wounded outpatient soldiers. Demands for corrective action arose among the public and in Congress after The Washington Post last month exposed squalid living conditions in a decrepit Army-owned building just outside Walter Reed and highlighted bureaucratic obstacles and delays in the outpatient treatment of soldiers who suffered serious injuries, including brain trauma, in the wars in Iraq and Afghanistan. "This is going to be comprehensive; it's going to be vigorous," Shalala said as she and Dole stood outside the White House after their meeting with Bush. "And neither one of us are afraid of talking to the brass, whether it's the president of the United States or a general." Read more. People throw around terms like ''transformational leader'' and ''change agent.'' President Shalala brings life and meaning to those words. She has reinvigorated the already-strong UM, bringing new faces and energy to the senior leadership, revamping the curriculum, improving our students' experience and growing our medical enterprise. We hosted the 2004 presidential debate that focused the world's spotlight on our campus and on South Florida. We raised more than $1 billion well ahead of schedule. That money is being pumped into scholarships, academic programs, infrastructure and our community. We named two of our schools -- the Leonard M. Miller School of Medicine and the Phillip and Patricia Frost School of Music -- thanks to the generosity of two distinguished and philanthropic families. The transformation of our medical school is astounding. Faculty and students are making incredible strides in research and patient care that have an immeasurable impact on the quality of our lives and on life itself. President Shalala's decision to invest in the biosciences will jump-start a new industry for South Florida that will provide jobs and, more important, cure diseases. Read more. RPCV Donna Shalala says: "I like to think of the Peace Corps as the 51st star on the American flag, because it represents the very best in the American character"
"I like to think of the Peace Corps as the 51st star on the American flag, because it represents the very best in the American character. The Peace Corps is a voice for democracy and American values. Like the stitching of a quilt, it helps bring together the world's diverse cultures. And the Peace Corps sows the seeds of peace by planting the enthusiasm, ideals, and skills of America's young people in the soil of other nations. I know this from my own service as a Peace Corps volunteer in Iran in the 1960s." Read more. Donna Shalala says: "I'll never forget my own family's reaction in 1962 when I told them I was going to go half a world away to serve as a Peace Corps volunteer in Iran." I'll never forget my own family's reaction in 1962 when I told them I was going to go half a world away to serve as a Peace Corps volunteer in Iran. As you can imagine, they were less than thrilled. You want to do what? For how long? My father even tried to bribe me by offering me a car if I chose Cleveland over Iran. I said, "No. I'm going." And that was that. My grandmother had other ideas. She handed me this very gracefully worded letter -- in classical Arabic -- addressed to the headman of the village that I would be living in. She made it very clear that she expected her granddaughter to return to Cleveland -- in one piece. Her note read, "This is the daughter of a very important headman in the United States -- take care of her." Read more. Find out more about Iran RPCV Donna Shalala. Iran RPCV Tom Verner and his wife Janet Fredericks, traveling up to six months each year, have performed in Europe (in Bosnia, Croatia, Macedonia, Serbia and Ukraine, as well as for Pope John Paul II at the Vatican), Africa (Ethiopia, Sudan and Uganda), Asia (Bangladesh, Burma, India and Thailand) and the Americas (El Salvador, Haiti and the southern United States hit by Hurricane Katrina). Verner grew up a nomad himself. Born in an Irish Catholic coal-mining town in Pennsylvania, he left home at age 13 to live in a monastery in upstate New York. At 20, he joined the Peace Corps to teach English in Iran. At 22, he returned to the United States to study clinical psychology and work at an alcohol and drug treatment center in Hartford, Conn. Verner built up his bag of tricks — actually his brother's old suitcase — as he moved to Vermont to become a psychology professor at Burlington College in 1979. But he didn't start his humanitarian work until his trip to Eastern Europe in the fall of 2001. Seen-it-all skeptics may view their work as simple sleight of hand. But for people who've sat years in the same squalid, stagnant place, it sparks laughter, surprise and escape. "People don't know there are 20 million refugees in the world and they live in camps for decades," Verner says. "Magic can awaken hopes and dreams. Magic makes the impossible seem possible." Verner, with help from the United Nations High Commissioner for Refugees, performed 15 shows for more than 2,000 refugees in Kosovo and Macedonia. At the first stop, a 5-year-old girl named Fatima volunteered to assist. She was a standout. Then, just before Verner had to depart, she disappeared. The magician found her hiding in the back of his car. Verner was reminded of another refugee, Harry Houdini, who once wrote in his journal: "I sometimes feel that when I am all wrapped up with ropes, chains and locks and escape from my impossible situation, I think that I sometimes inspire hope in people that they too can escape from their impossible situation." Read about other RPCVs who served in Iran and what they are doing today.